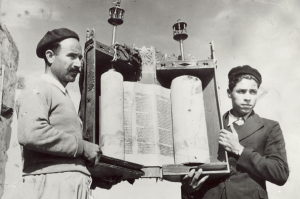 The Western church often forgets her Jewish roots and tends to ignore the Old Testament. It often forgets that Jesus is a Jew. So it’s not surprising that the church also ignores the nation of Israel and related prophecy. 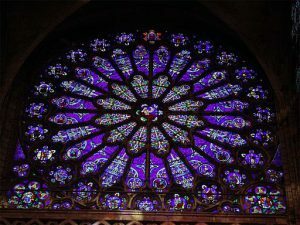 In fact, many institutionalized churches (Anglican, Baptist, Methodist …) hold to Replacement Theology, link which says that the church has replaced Israel in terms of God’s witness in the world. Such error arises because the church forgets that Jesus was, and is, a Jew. He is a descendant from the tribe of Judah (aka Jews), and from the Royal House of David. And prophecy says that one day soon Jesus will sit on David’s throne. Jesus the coming King will soon rule the nations. 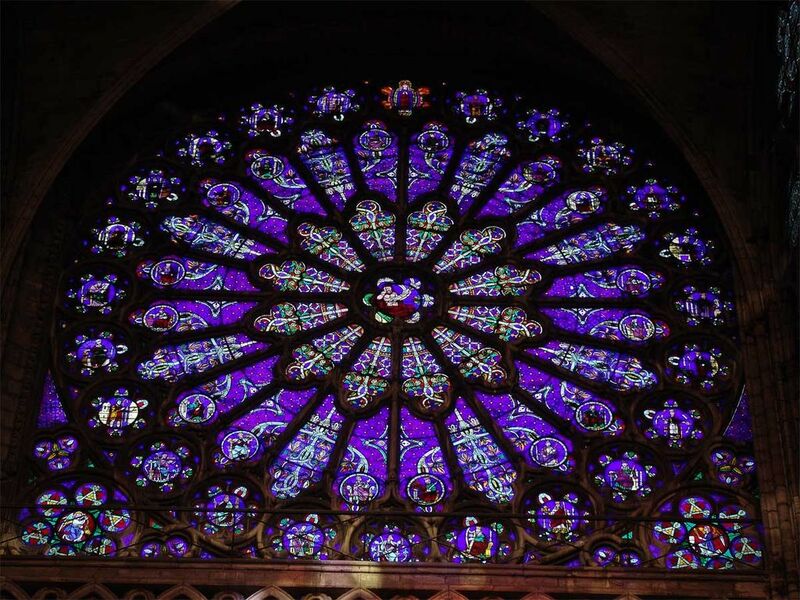 St. Denis Cathedral, France. The stained glass depicts the ancestors of Christ from Jesse onwards. At first glance it seems something is wrong here. Christian belief is that Mary was a virgin when she bore Jesus and so Joseph could not have been Jesus’ biological father. But we must remember that men in ancient times often regarded their sons-in-law as their own sons, link. In other words, Joseph’s name is only introduced instead of Mary’s, in conformity with the Jewish custom. So here, Heli is usually taken to be Joseph’s father in law and Luke’s genealogy is therefore usually taken to be Mary’s genealogy. Heli was Mary’s father. This is interesting since, traditionally, Jewish status passes through the mother, not the father. So a person born to a Jewish mother is a Jew. And tracing back through Mary’s genealogy we see that Mary was descended from David who was descended from Judah (the prime source of the ‘Jew’). In other words, Jesus was, and is, a Jew. Moreover, by both His mother and His earthly father, Jesus has lineage going back to King David and so has a right to the throne of Israel. Let’s now examine this royal throne. If his sons forsake My law And do not walk in My judgments, If they violate My statutes And do not keep My commandments, Then I will punish their transgression with the rod And their iniquity with stripes. But I will not break off My loving kindness from him, Nor deal falsely in My faithfulness. My covenant I will not violate, Nor will I alter the utterance of My lips. Once I have sworn by My holiness; I will not lie to David. His descendants shall endure forever And his throne as the sun before Me. It shall be established forever like the moon, And the witness in the sky is faithful. Jesus was crowned with thorns, but nevertheless He said He was a King – a King of the Jews in the lineage of David and the tribe of Judah (aka Jews). The genealogy in Mathew chapter 1 confirms that Jesus is a Jew: “Jesus Christ, the Son of David, the Son of Abraham”. And the Lord will be King over all the earth; in that day the Lord will be the only one, and His name the only one. So there we have it: Jesus’ descent is from the tribe of Judah, so He is Jewish. Jesus’ lineage traces back to the line of David and so He has the right to sit on David’s throne. The world will soon be ruled by a Jewish King from Jerusalem. Remember: Jesus the coming King! What are the biblical roles of national Israel and the church today? And what role do they both play in the future? 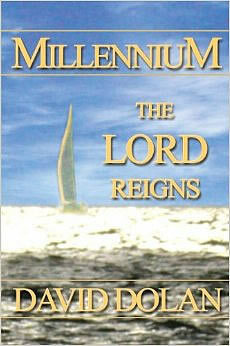 The book is preview of the Lord’s majestic millennial reign written by Jerusalem based journalist-author David Dolan. This fiction book takes us into the future thousand year reign of Yeshua the Messiah from his glorious throne in Jerusalem.